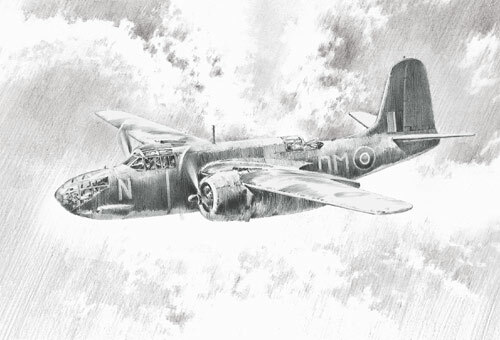 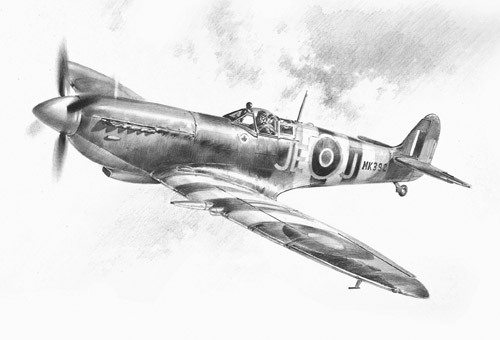 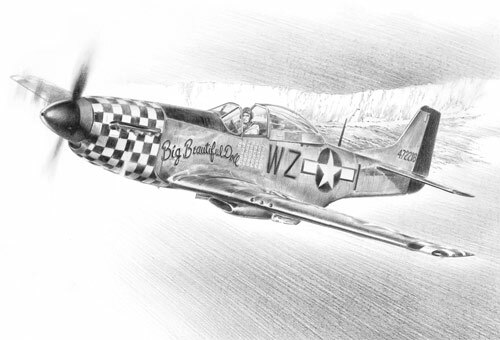 Prints of Geoff's stunningly detailed pencil sketches. 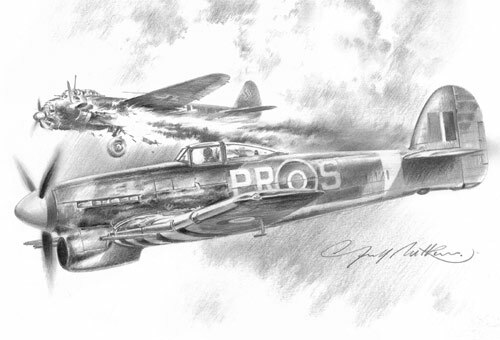 All are artist-signed, some are also available pilot-signed. 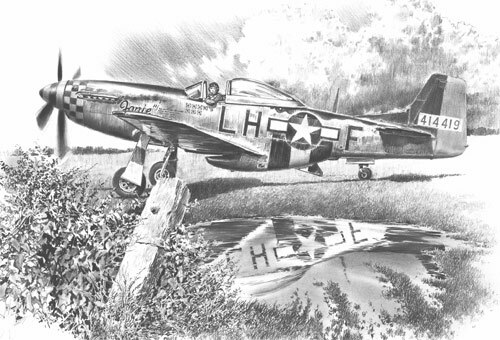 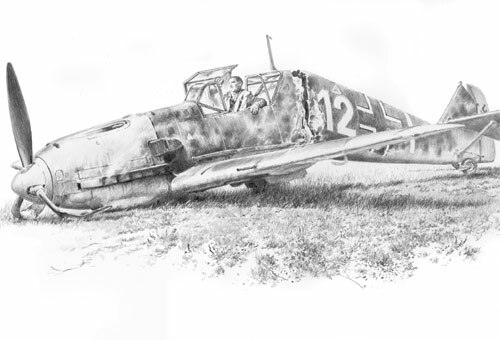 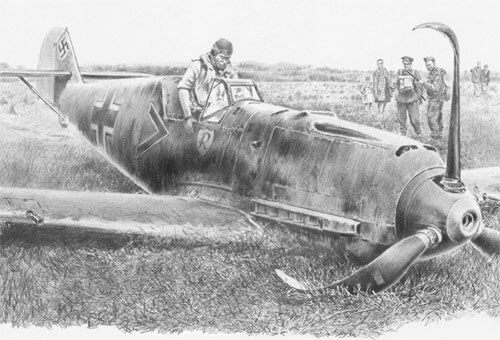 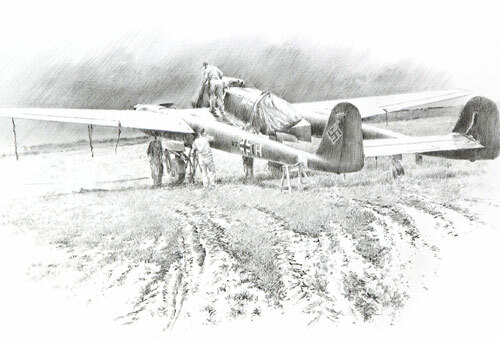 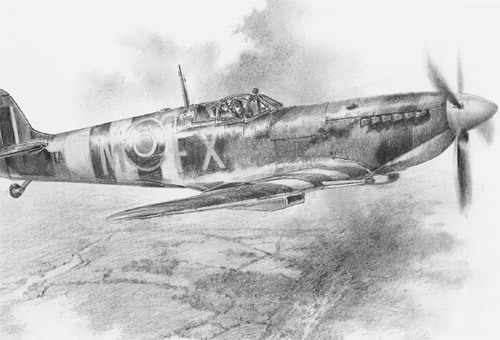 Fallen Eagle (pencil) Unteroffizier Ernst Poschenrieder of 7/JG53 prepares to abandon his Me109E, after crash-landing in Kent on 30 September, 1940. 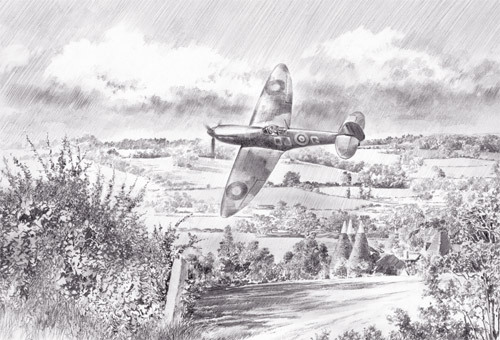 A Summer for Heroes Pilot Officer Geoffrey Wellum of No.92 Squadron, Biggin Hill over the Kent countryside during the summer of 1940. 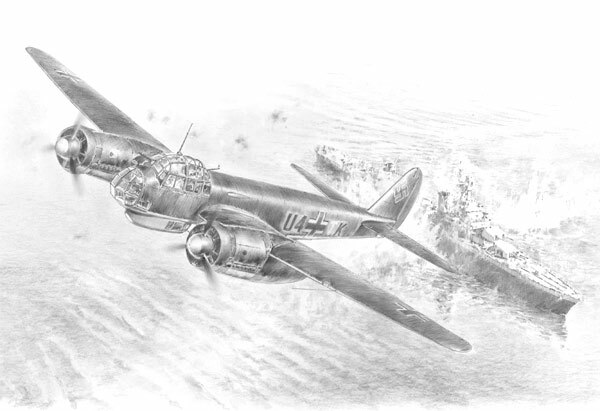 609 Squadron's 200th Pilot Officer 'Pinkie' Stark shoots down 609 Squadron's 200th victory, a Ju88 south of Soissons, France on 5th October 1943. 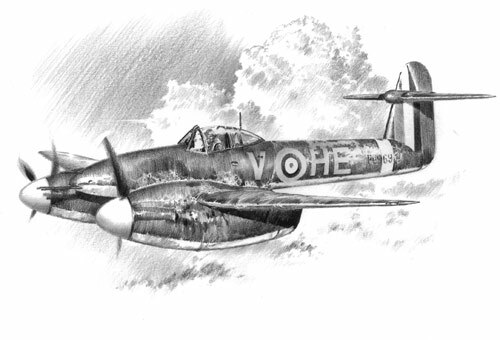 The Westland Whirlwind Westland Whirlwind of No.263 Squadron.